There are two wardrobes in our bedroom. One for my wife, Lois, and one for me. If you were to open both and examine the contents you would almost immediately be able to deduce our preferred season. In Lois's you will find pretty tops made of thin floaty fabrics in bright colours, stylish sun dresses and flip-flops/sandals. The contents could be packed down inot a small suitcase. She is definitely a fan of the summer. Mine is crammed full of warm coats in various drab colours, thick jumpers and heavy plaid shirts. A whole drawer is devoted to thermal underwear and another is brimming with woolly hats, scarves and gloves. My clothes could be summed up in one word - bulky. You've guessed it, for me it's all about winter. I love winter. I like to wrap up against the elements and get out there and feel the weather on the small patch of my face I've left exposed. The colder and damper I get, the sweeter the return to home is where I can warm up and reflect on a day out mooching along the Patch. The Patch itself is most alive in the cold season when the mudflats are thronged with waders and wildfowl in dazzling numbers. 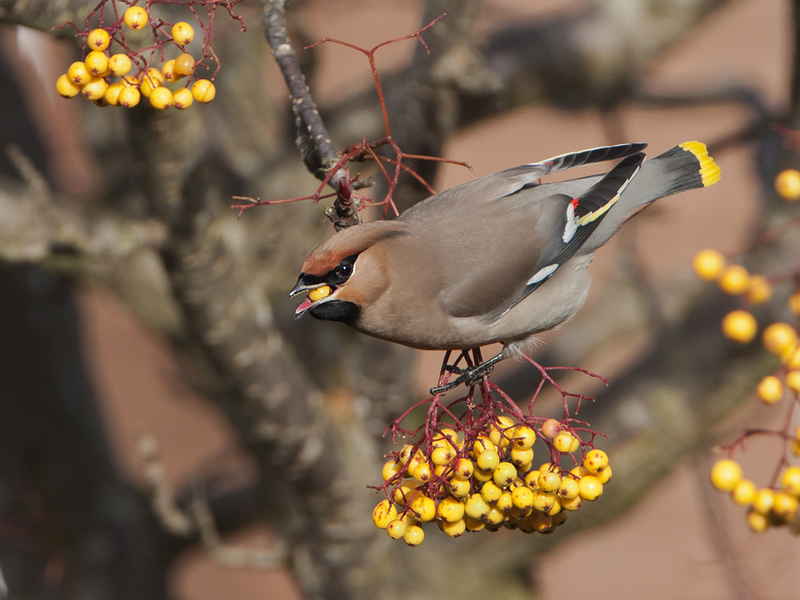 You can also get some pretty special visitors that only reach our shores in winter, my favourites being Waxwings. 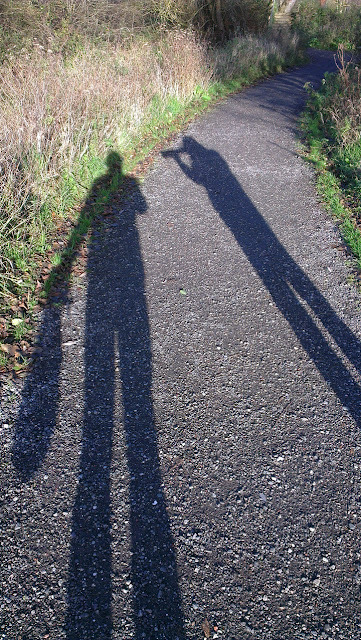 The winter sun (when you get it) casts a brilliant light on the subjects of my photography. 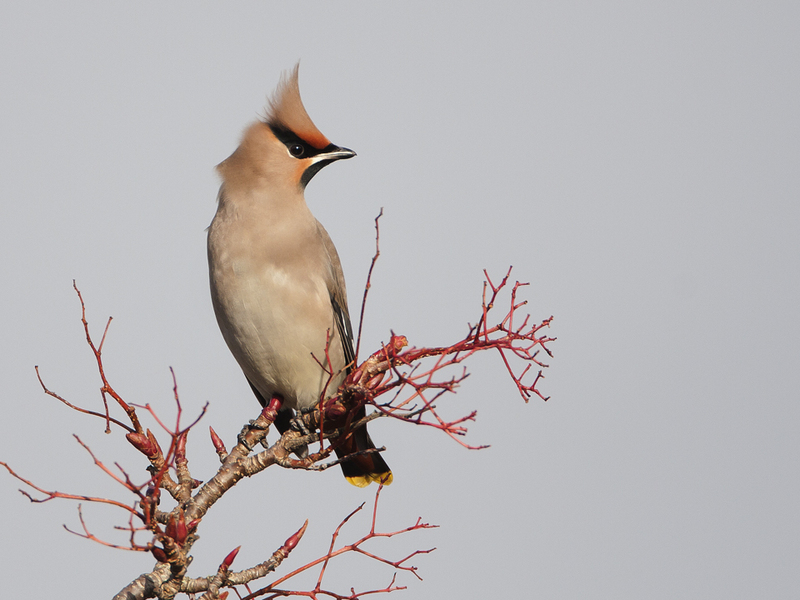 Today the light was fantastic and there were my fave winter specials, Waxwings, were about. My dad and I had to get out there! The sun was low, stretched our shadows away from us but illuminated everything allowing super fast shutter speeds, useful when shooting with a 500mm lens and no tripod! We headed to the area that the Waxies had been seen yesterday, a housing estate adjacent to the marsh by an old colliery. We turned down a regular sub-urban street and cruised slowly along. 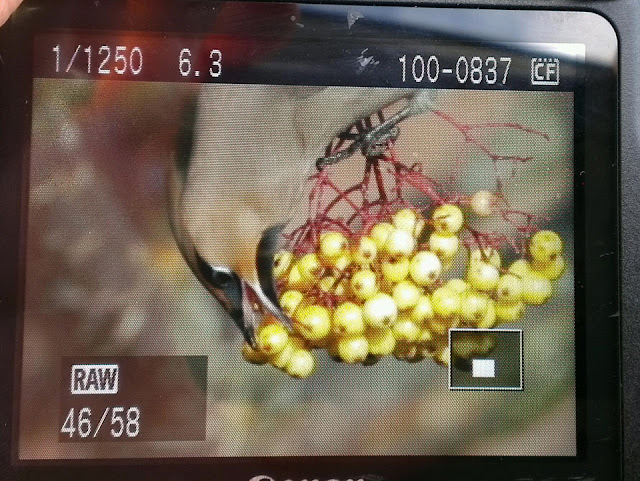 I soon spotted 5 Waxies on a berry tree right on the road. We pulled up a safe distance from the birds with the sun lighting up the scene perfectly. 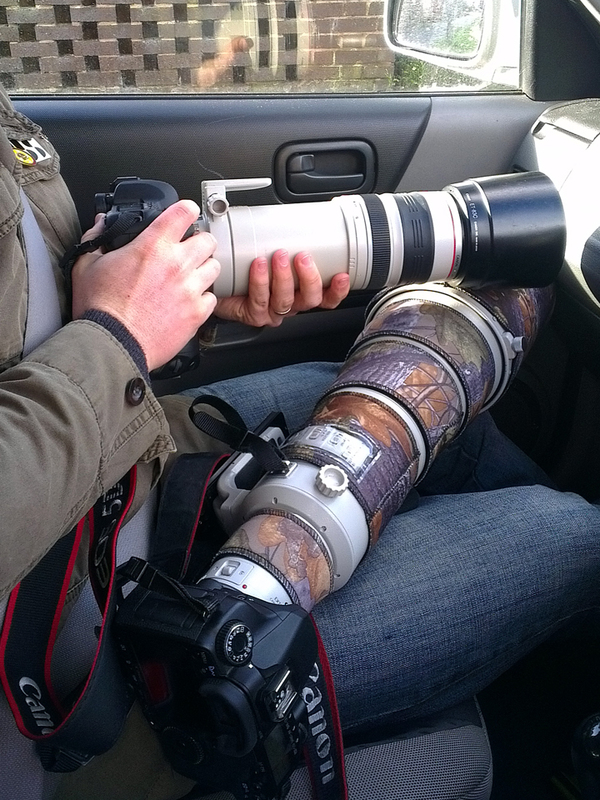 The kit was deployed and we waited in the car for the birds to come down and feed. We stayed in the car, it was perfect camoflauge in this setting. 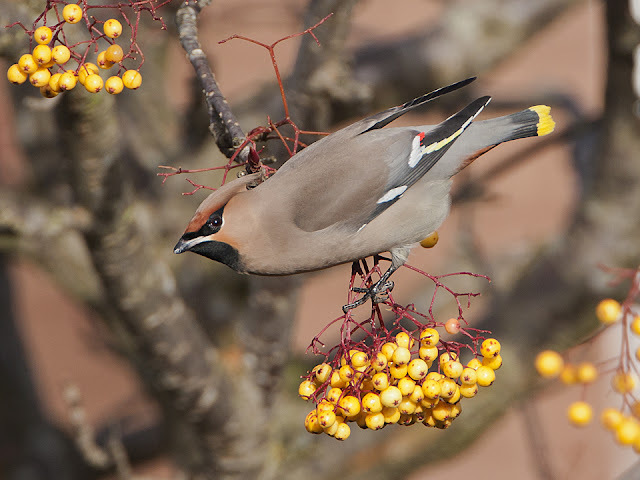 As we waited a bus and a bin lorry trundled past, everyday life continuing within yards of the Waxwings. By using the car as a hide we were able to get some pictures without disturbing the birds. The birds are doing what they do best, eating berries. However they do remain vigilant, inspecting the new car that has arrived on their street. The birds are stunning, soft orange grey fronts and striking bandit masks are topped with cotton-soft crests. They feed for a few moments then retreat to a TV ariel to survey the estate. The streets are quiet, it is a school day so there are no kids zooming about their territory on bikes. A postman and a dog walker are the only humans we see. When the birds are resting I review the pictures so far. The birds return to feed and the shutter fires some more - super quick thanks to this delicious light. The images stack up on the memory card. 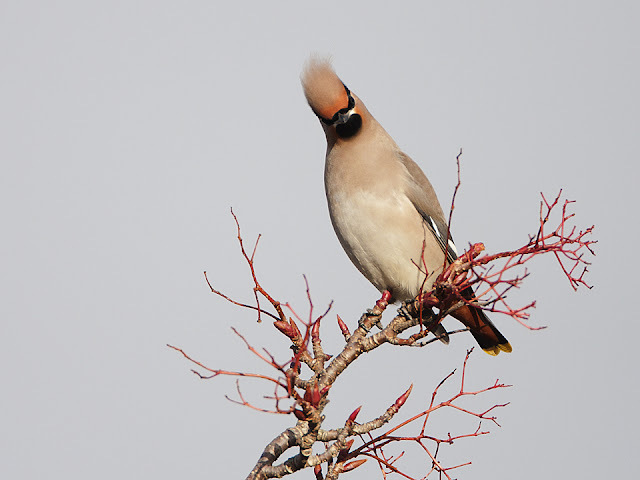 The wind is strong and ruffles the hairdo of the Waxwing that is playing lookout while the others feed. 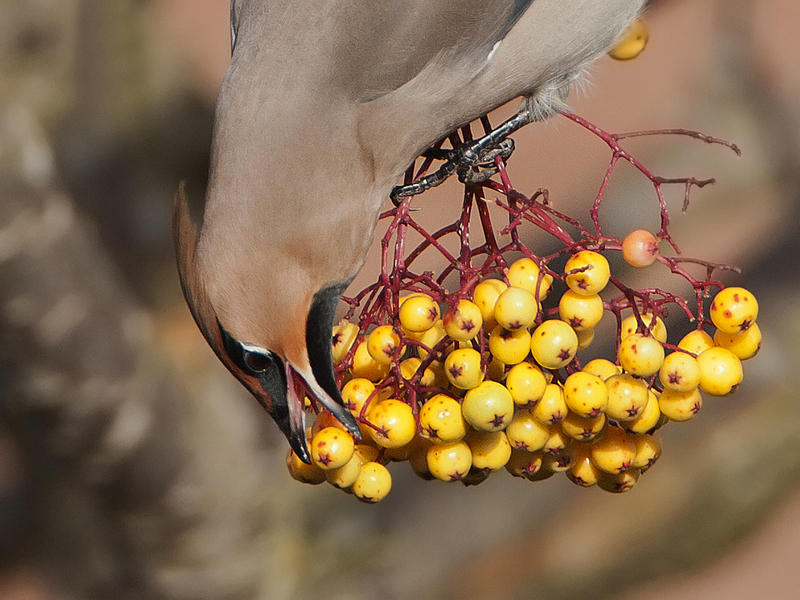 Berrys are disappearing at a great rate of knots. The lower branches are still well stocked but the tree top twigs have been stripped bare.